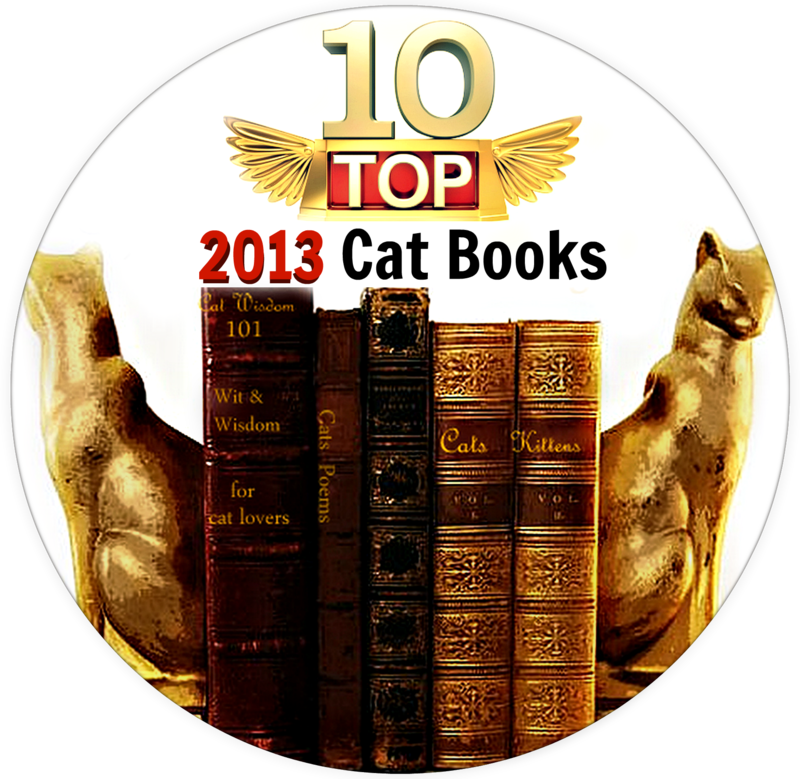 2013 was a stellar year of the cat in fiction and nonfiction. We read over a hundred cat books and reviewed dozens. 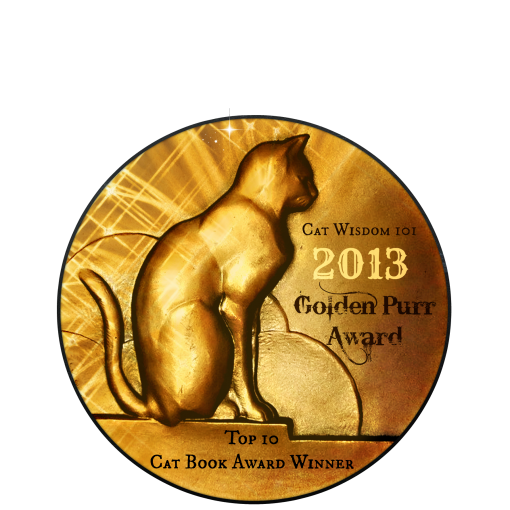 We selected 20 cat books for our suggested holiday gift guide (scrolling below) but only 10 books receive our Golden Purr Award for excellence in a cat writing. We read dozens of purr-worthy books this year but these made us purr just a little bit louder. Please note: #8, The Art of Purring is a sequel (release date Nov.28, 2013) to The Dalai Lama’s Cat, a favorite of ours and the 2013 CWA Muse Medallion winner for fiction. Author David Michie will has kindly agreed to another exclusive Q & A soon. I’m happy to report the sequel made this reader purr with delight. We hope you find something to purr about in our selection, as a treat for yourself or as a gift for another cat lover. Awesome list! Will check some of them out. I was so surprised when I read The Dalai Lama’s Cat, pleasantly so. It was so much more than I’d expected. I look forward to your interview and the sequel. Andrea, you’ll love the sequel! What an impressive list. TW doesn’t have time for books after reading blogs, which means, unfortunately, she’s only read one of the great cat books by her bestie, P.M. Griffin. She’s won Muse awards for 2 of them. Id love to read WhiskerList. I just won a copy of Bob the Street Cat’s book and can’t wait for TW to read it to me. I’m putting a couple on my catmas list! Ooohhh mom has only read us a couple of these… we can’t wait for the “Art of Purring”! We’ve been practicing! Thanks for a pawesome winter reading list. Ooh books that make us purr… 🙂 I wish I had more time to read! These look fabulous! You read so many books in a year. I read the same number, but most are sampled, rather than read. It’s a passion or madness. You read an impressive amount! I must read more. Most of what I read is for work, which discombobulates my brain. Nothing like a good good book to put me in the mood for writing. I must get some of these.I prefer Kindle, so I will see. What a list! A very IMPRESSIVE list! What an honour it must be for those writers to be on it. It’s always lovely to receive recognition for creative effort. That said: there are another dozen I would have loved to add to the list. Shall we say more trips to the local Library? We love books almost as much as we love cats,so books about cats are the highest on our list! Caren, this list like all lists is subjective. Your list would be different. It’s difficult paring down a list but one of my deciding factors is interviewing a writer for added insight. 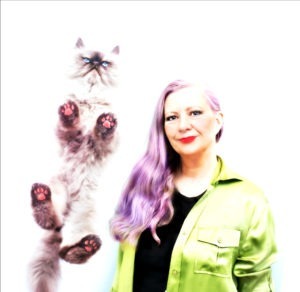 I interviewed all the authors except the author of The Elegant Cat. That’s a great list. The mom has read one of them…she’s going to have to check out the rest on the list. This list like all lists is subjective. I’d lpve to see Sparkle review her picks.